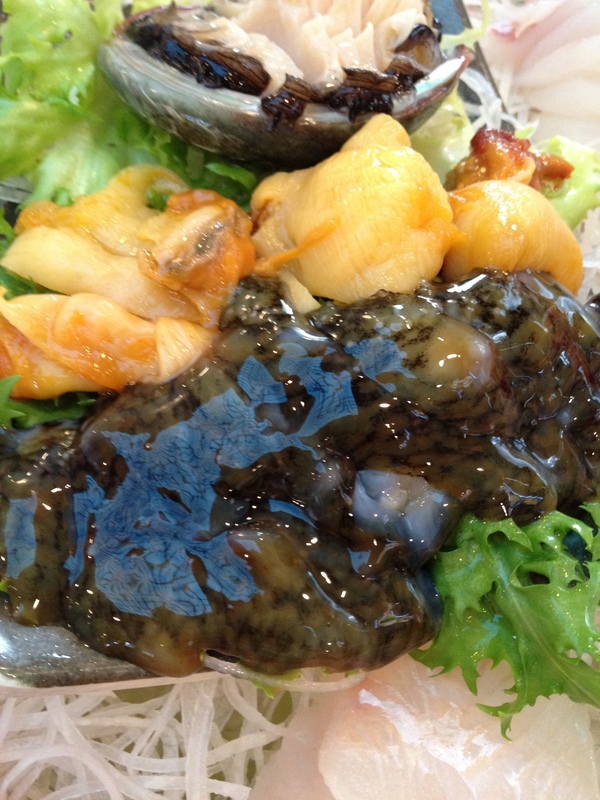 Last week I went to Pado Sushi in Flushing and enjoyed live sea cucumber and possibly sea squirt. My friend asked the waiter if the dark green organism was a sea cucumber and she said it was. What is the other creature? Is it a sea squirt? A snail? Can anyone help me identify it? Thanks! Hello there! thanks for sharing the beautiful post… I just had my very first sashimi experience in Brazil… and it was quite something!